This is a free event with mandatory registration – https://bit.ly/2sD53Lx. It’s cold outside, but you’ll want to come and warm up to this! 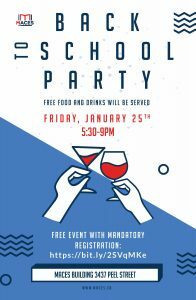 See you all on Friday, January 25th, 2019. 3437 Peel Street from 5:30 pm – 9:00 pm.